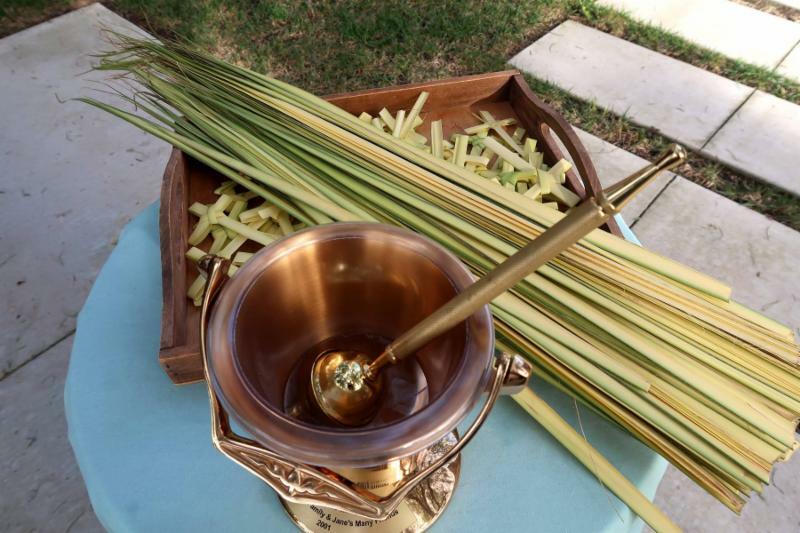 This Sunday, Palm Sunday, is the start of Holy Week. We will hear the story of Jesus' triumphant entry into Jerusalem and the shouts of " Hosanna! " as he is proclaimed King of kings by those who spread their garments and palm branches along his path. Our palm branches will be blessed as we raise them high in the air as a sign of his victory and as we affirm his kingship with our own shouts of " Hosanna in the highest!" Jesus' followers were so excited, they were welcoming their new king, the one they thought would save them from the tyranny of the Roman occupation in their land. But, as the reading of the Passion continues with Jesus' arrest and trial, the mood quickly shifts. The shouts of Hosanna are replaced by shouts of “Crucify him! Crucify him!” The story ends with Jesus dying like a criminal on a cross. The disciples and Jesus' followers didn't know anything about Easter, about the promise of the resurrection. All they knew was that their hopes were gone - buried in the tomb with Jesus. We leave on Sunday with a sense of their sorrow and despair. We also leave knowing that this is not the end of the story. The Palm Sunday liturgy starts the Holy Week journey which culminates with the Paschal Triduum (three days): starting the evening of Maundy Thursday , through the evenings of Good Friday and Holy Saturday - The Great Vigil of Easter , and ending the evening of Easter Day ; all celebrating the life, death and resurrection of Jesus. The Paschal Triduum is experienced as one liturgy: we wait and pray (vigil) at the altar of repose on Maundy Thursday; then we continue with the reading of the Passion along with the veneration and prayer (vigil) at the cross of Christ on Good Friday; leading us to The Great Vigil of Easter where we gather and pray (vigil) around the new fire to hear the stories of salvation after which we finally process into the celebration of the resurrection of Christ; a celebration that continues Easter Day. Sometimes you just have to be there. Sometimes you just have to experience something in order to fully know the meaning of it. Holy Week is one of those times. It is our journey to the joyful discovery of life and hope in Jesus Christ. Come join the journey this week and discover once again, or for the first time, why we call it holy. Warm and welcoming services will be led by Rabbi Ben Leinow and Cantor Larry Kornit. A catered Kosher-style meal will be served. Cost is $30 per adult (member price) and children over age 6 half-price (no charge for children under 6). To purchase tickets click here or go to www.bnaitikvahsd.com and click on "Passover Seder Get Tickets Here". In the drop-down menu for "Reservation Type" select "member". We are blessed that B'nai Tikvah considers and welcomes us as members of their congregation. Online payment option is via PayPal or credit card. Questions? Call 760.650.2262 or email info@bnaitikvahsd.com. Congregation B'nai Tikvah is seeking three people to help setup, serve, tend to patrons and teardown following the Seder. They offer a meal, praise, and $60/person for the assistance. Fore more information or to volunteer please contact Allan Higgins (760) 650-2262. 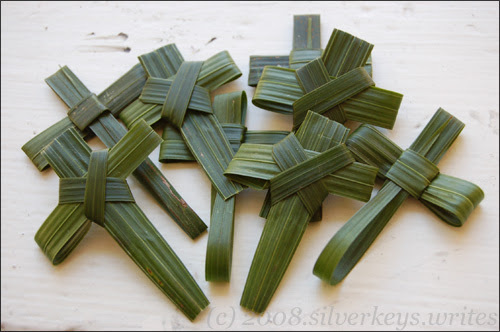 Please join Judy Cater and the Altar Guild this Saturday, April 13th, in the multipurpose room to make Palm Crosses for Palm Sunday. We will begin at 2 pm and go until we finish - many hands will shorten the time! 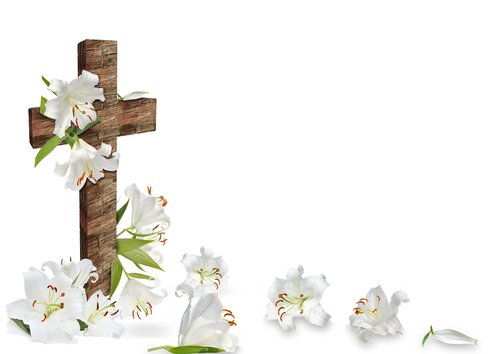 To decorate the church for Easter, you are invited to donate an Easter Lily in memory, honor or celebration of a loved one or occasion. If you wish to donate a Lily, a suggested donation of $15.00 is welcomed. The form to download is available by clicking here . Please fill it out and bring to church on Sunday with your check. Envelopes and forms will also be available in church this Sunday. This Sunday is the deadline to sign-up for the Easter Flower donations. The list of names for whom flowers have been donated will be published in the Easter worship booklet. ﻿We end The way of the Cross (Stations of the Cross) with the final three stations. Responses and unison parts are indicated in boldfaced italics so that you may either pray the stations as a private devotion or pray together with one or more individuals. We will glory in the cross of our Lord Jesus Christ. In whom is our salvation, our life and resurrection. resurrection delivered us from the power of our enemy: Grant us so to die daily to sin, that we may evermore live with him in the joy of his resurrection; who lives and reigns now and for ever. Amen . Save us, and help us, we humbly beseech you, O Lord. 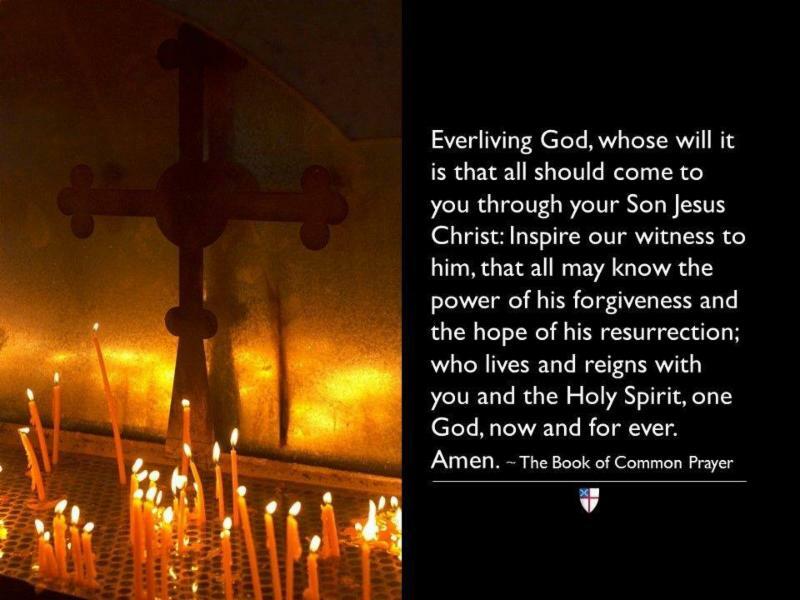 If you wish to pray all of the stations at one time you will find a PDF with the Opening Devotion, Stations 1 - 14 and the concluding prayers by clicking here . 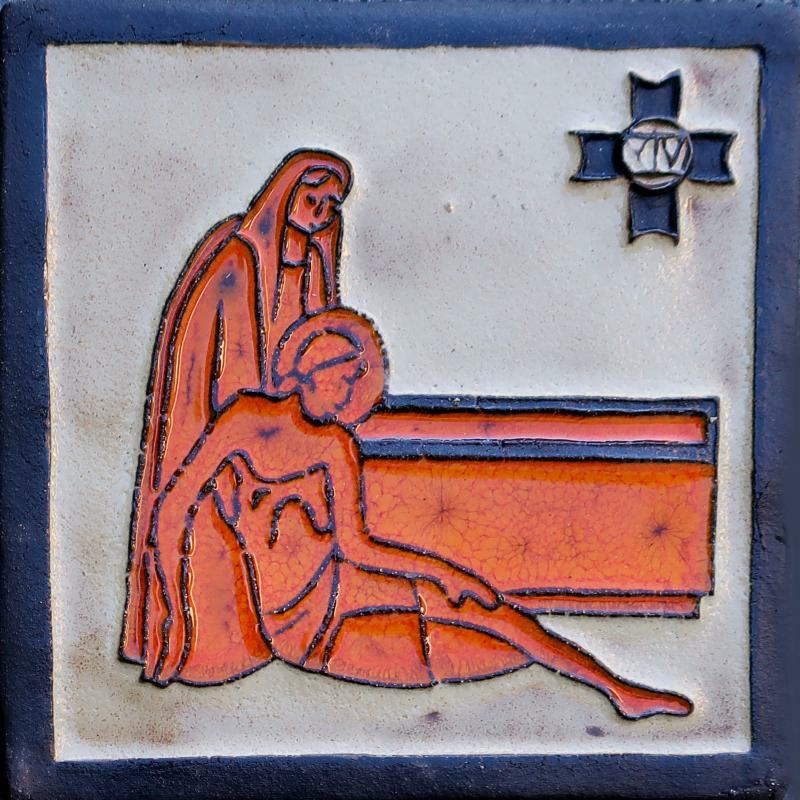 From The way of the Cross (Stations of the Cross) as found starting on page 55 in The Book of Occasional Services 2018. Responses and unison parts are indicated in boldfaced italics so that you may either pray the stations as a private devotion or pray together with one or more individuals. Our thanks to Linda Collier for taking the photographs of the station icons. 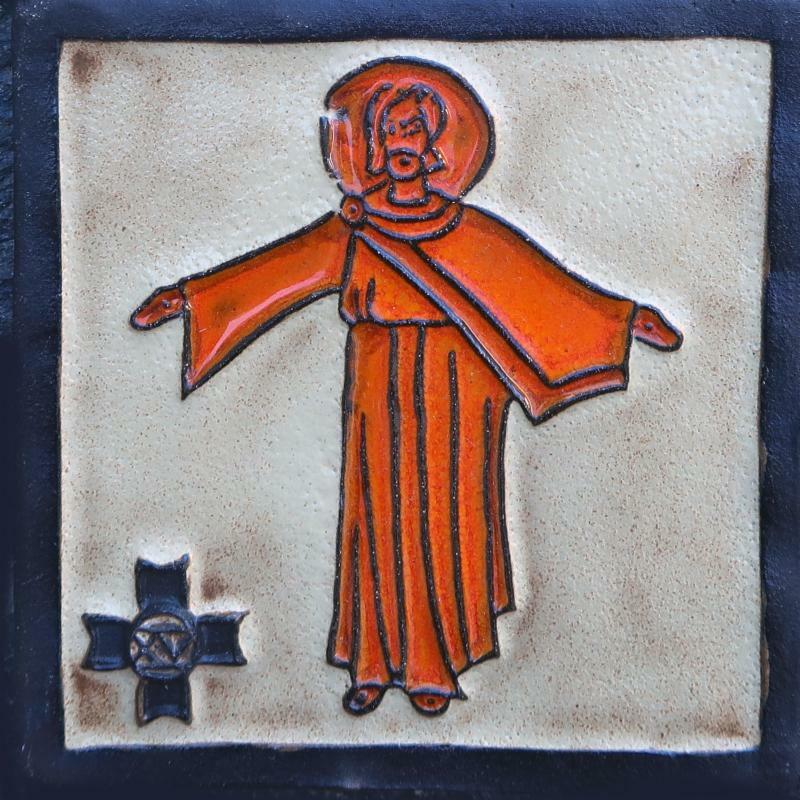 The icons were a gift to Holy Cross given in memory of Nan Edwards by Duncan McKellar. 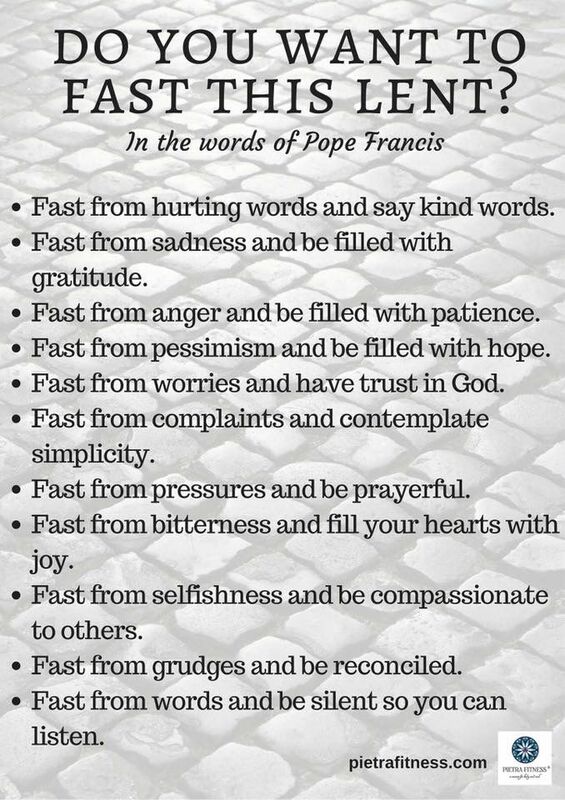 Our Lenten journey is almost over. We hope you have taken time during these 40 days to deepen your relationship with God through the practice of the three pillars of Lent Jesus calls us to observe: prayer, fasting and giving alms. 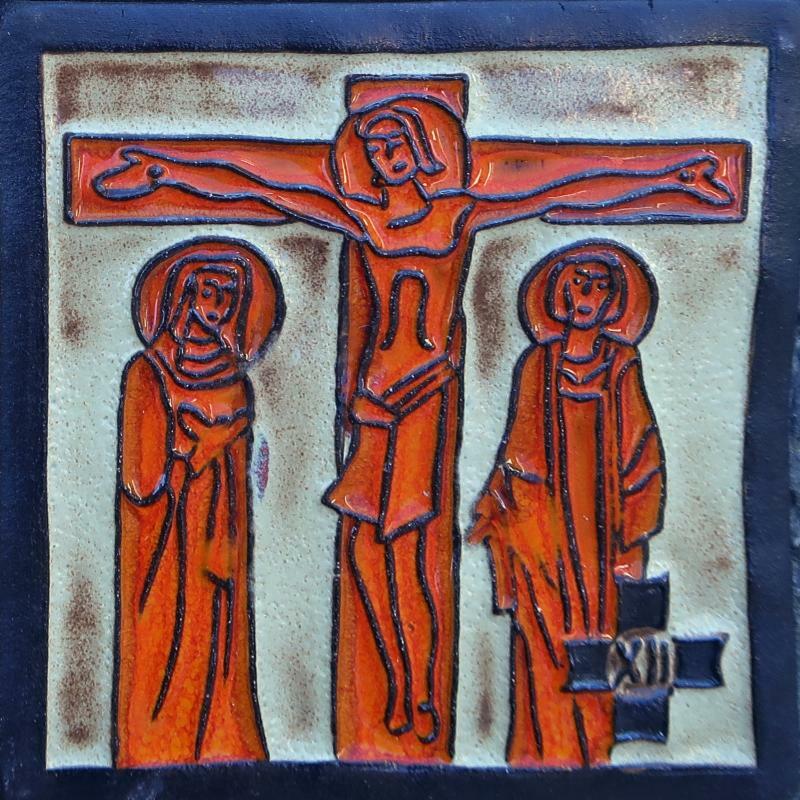 There will be no Evening Prayer this Thursday, April 18th, as we observe the start of the Paschal Triduum (three days) with the Maundy Thursday liturgy at 7 pm. We will resume Evening Prayer services on Thursday, April 25th at 7 pm. During our journey through Lent we offered you an opportunity to walk with Jesus on his last day through The Way of the Cross (Stations of the Cross) - an ancient practice of 14 devotions, or stations, that start with Jesus' condemnation and end with his burial. La Posada de Guadalupe Shelter, is a Men’s Shelter in Carlsbad that supports homeless men, migrant workers, day workers, and men in transition to a more independent life. 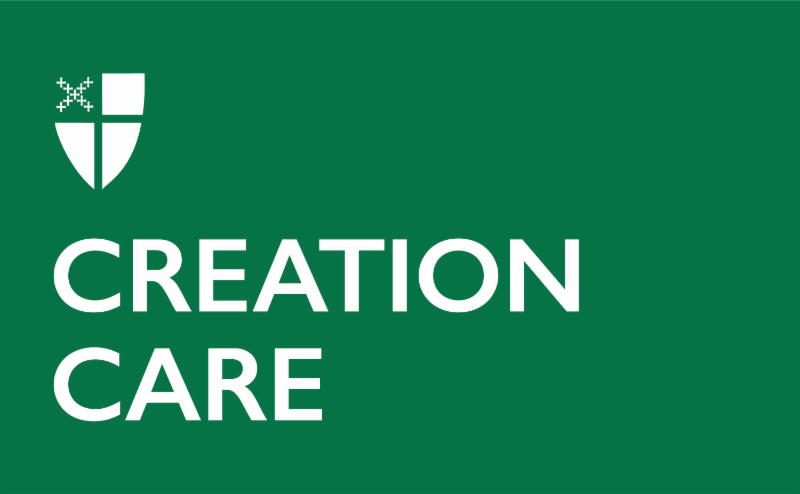 Holy Cross has supported this residential facility since 2015. The primary need is cash donations (checks made out to Holy Cross with La Posada on the memo line, cash in an envelope with La Posada on the outside of the envelope, or Gift Cards to Costco or Smart & Final). Lupe Ortega, our ministry coordinator for this outreach, shops for bulk items at Costco and Smart & Final so cash donations are very much needed and appreciated. Other items needed: rice, creamy peanut butter, protein/granola bars, individual juice boxes, individual fruit cups, individual raisin boxes and other items that can fill sack lunches for men who work in the fields each day. Please note: La Posada is unable to accept any food items that have an expired, or about to expire, date on the packaging - we request you do not donate expired, or soon to expire, food items as they will have to be thrown away rather than donated. Thank you for your understanding. Donations accepted from April 1 - 30. The La Posada Staff and residents are always very thankful and appreciative for our donations. Legends of the Easter Eggs : This lesson introduces children to the Eastern European tradition of decorating eggs with the symbols of Easter as a way to reclaim a wonderful sign of new life. ﻿ Faces of Easter : The Faces lessons help the kids continue to prepare for the Mystery of Easter. We move towards that Mystery by hearing the stories of Christ's journey toward the cross and resurrection. These stories help us learn about Jesus' life and ministry. This week, we remember the work Jesus did as he traveled around, healing people and sharing parables. It's a great chance to make clear to our children that being with people of all kinds, loving them, healing them of their physical and emotional wounds, and sharing truth through stories was the work that God sent Jesus to do--and still sends Jesus to do today. We also focus on Christ as he goes to Jerusalem to become a parable and shows the Twelve - and us - the sacrament of bread and wine and focuses on the faces of Christ on the cross and on Easter. Note : The lessons for older kids (9-12 years) have arrived. We are working on coordinating storytellers and the lesson schedules. If you are interested in being a storyteller please speak with Sue Baas. 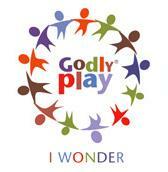 Easter Sunday: There will be no Godly Play on Easter Sunday, April 21st, the kids will attend our Easter worship service. Following the service we will have an Easter Egg hunt! 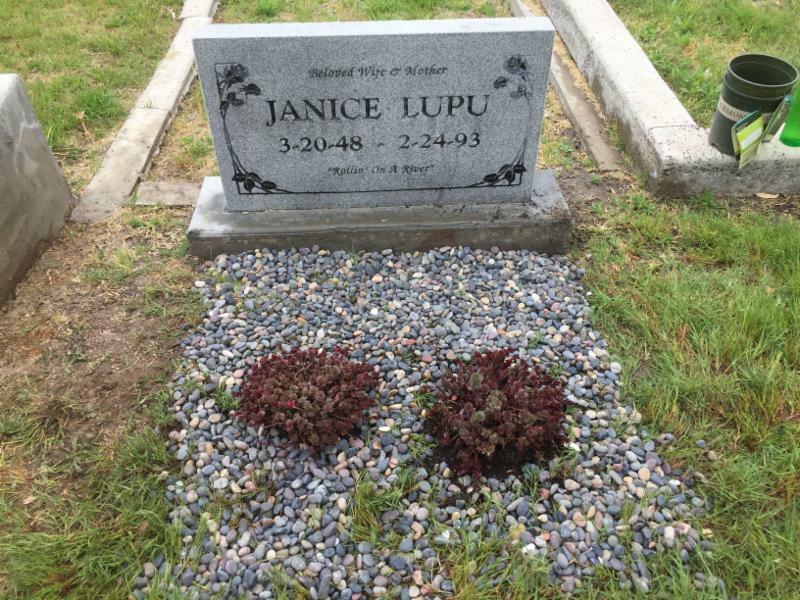 Thanks to Daniel Bissler, Judy Cater and Kelly Petersen for beautifying the grave of Janice Lupu, one of Holy Cross's founding members. Succulents were planted and beach rock added for decoration. Will you cherish the wondrous works of God, and protect the beauty and integrity of all creation? This Sunday you may notice some minor changes to the worship booklet - we have reduced the number of pages while still keeping all of the liturgy printed in the booklet. This is a first step in being good stewards of our resources as we continue to look for ways to reduce the amount of recycling and waste we produce; i.e., paper, toner and operation expense of our copier machine. The changes to the worship booklet save a full sheet of paper for each booklet - approximately 60 sheets of paper will be saved each week. Stay tuned for future announcements as w e continue to explore opportunities to respond to the call of our Baptismal Covenant. Save the date and plan on joining in on May 19th from 12-2 pm at Buccaneer Beach in Oceanside. There is free parking across the street at the Buccaneer Park. It is recommended that you bring sunscreen, water, and gloves. Trash bags will be provided. Stay tuned for more information as we get closer to the event. Prep for the meal begins at 5:15 pm, the meal is typically finished by 6:30 pm. Volunteers at the shelter provide the clean-up. If you are willing and able to help please contact Daniel via email, click here , or see on Sunday. 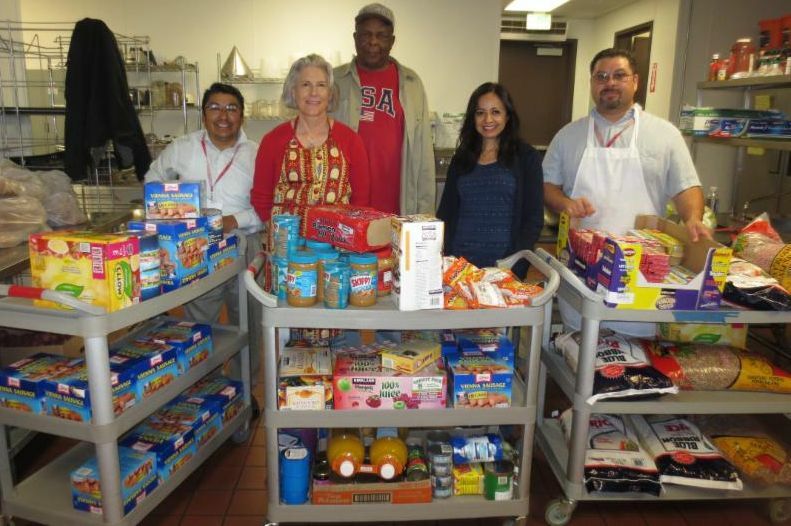 Operation Hope Vista provides shelter and meals to homeless families and children. The program grew out the city providing emergency winter shelter to families living in Vista and the surrounding areas. Evening meals are prepared and served by various service clubs, faith groups and individuals. Randy Echito's Rotary Club has been one of the service clubs providing meals and Daniel Bissler has been involved in Operation Hope's after school homework tutor program. The shelter is located at 859 E. Vista Way, Vista. For more information on Operation Hope click here . 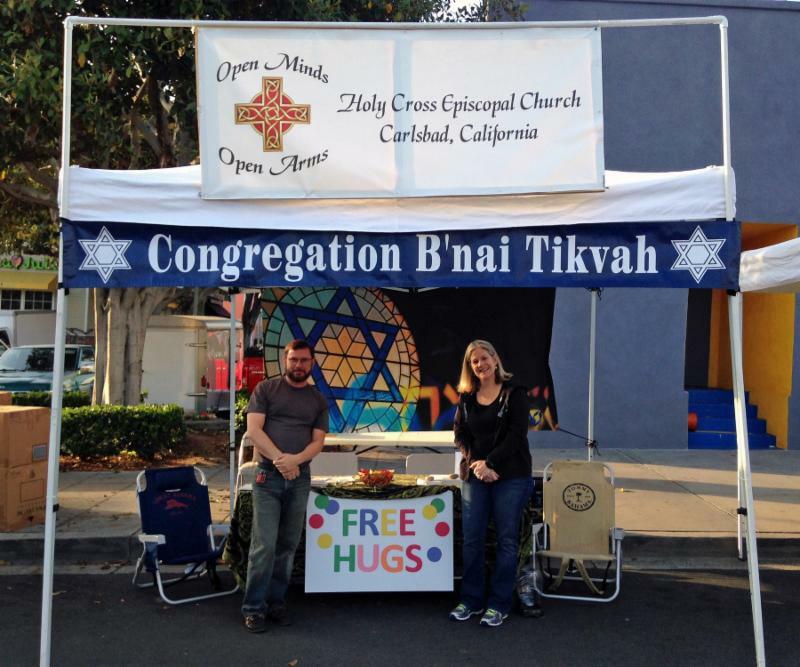 As in years past Holy Cross and our space-sharing partners in faith, Congregation B'nai Tikvah, will be at the Carlsbad Village Street Faire on May 5th. ﻿Much thanks to Alan Higgins from B'nai Tikvah for organizing this year. Alan has suggested we not have sign-ups - all who are interested and willing please stop by the booth anytime between 8 am and 5 pm. Our booth is located near the corner of Carlsbad Blvd and Grand Ave. 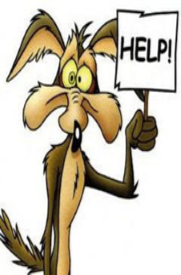 Thanks in advance for your prayerful consideration to help! 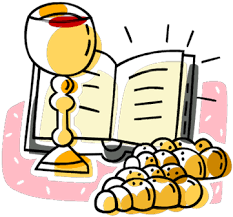 This ministry is an extension of our Celebration of the Eucharist each week - bread and wine that has been blessed on Sunday is reserved for our Lay Eucharist Visitors to take to those who are unable to join us. To arrange for a Lay Eucharistic visit please contact the church office during office hours* at 760.930.1270. Marcia Pierce, our lay Pastoral Ministry leader, will be notified of your need and she, or a member of the team, will contact you to make arrangements for a visit. Please let the office know if you wish to have a visit on Sunday following worship or another day of the week. * Office hours: Tuesdays, Wednesdays and Thursdays - 9 am to Noon and 1:30 pm to 4 pm. Thanks to all who have already completed the The Church Assessment Tool (CAT) . If you received the email invitation to participate in the CAT and have yet to complete the survey we ask that you complete it as soon as possible and by no later than April 30th. Paper copies of the survey will be available this Sunday for those without easy access to a computer, please let Brian Petersen or Rev Roger know if you need one. Art Wahl, Search Committee Chair and Karen Sanchez, Profile Committee Chair. 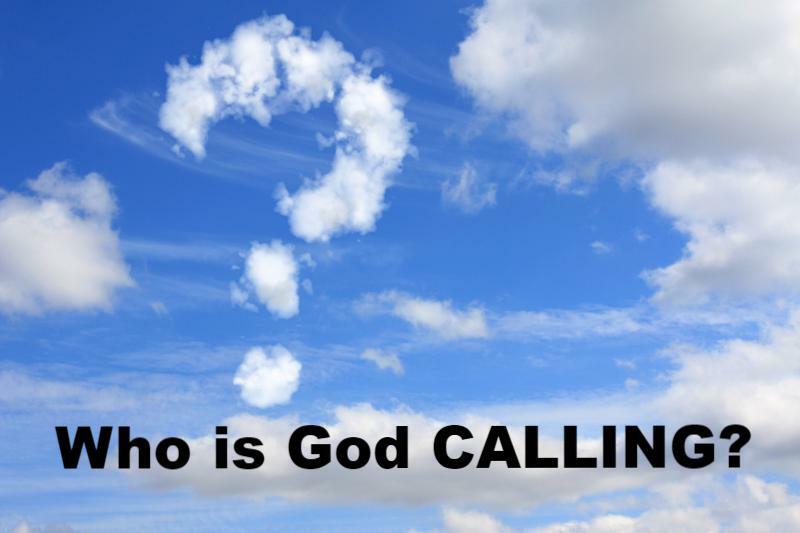 whom God is calling to be vicar for this mission. through the interim times of doubt and uncertainty. Please keep in your thoughts and prayers those who are unable to be with us in worship. Please reach out to them and let them know they are missed. Please keep all on our prayer list in your prayers. 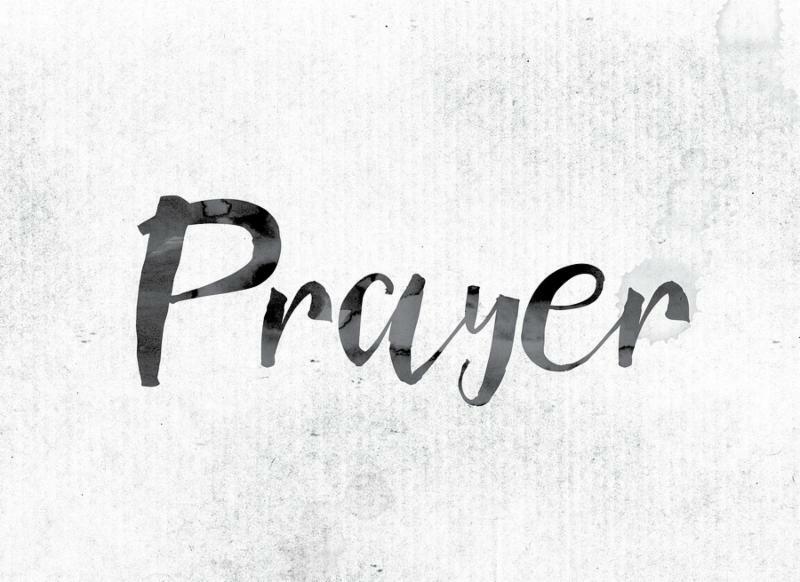 If you would like to be added to the Prayer List or would like to add someone else (please get their permission first), call the church office at 760.930.1270 or email at holycross@holycrosscarlsbad.org , please mention 'Prayer List' in the Subject line. Individuals will remain on the prayer list for 4 weeks. Please contact the office if you wish to have someone added for another 4 weeks. 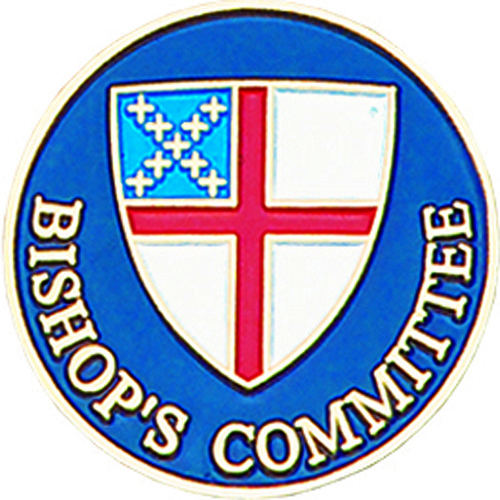 Bishop's Committee meetings are open to anyone who would like to attend. Any church member may ask any BC member to speak on their behalf or on behalf of a proposal they wish to forward. Meetings are held the third Wednesday of the month from 6 pm - 8:30 pm. Our next BC meeting is April 24th (moved from April 17th due to Holy Week). Thank you to those who have already donated to support my ride! Your contributions will not only help the still critical work of research, care and education needed to end HIV & AIDS, but also give me juice as I train for my 7 day journey from San Francisco to Los Angeles. The ride happens June 2-8, which is coming up fast. I’m getting back on my bike after a long, wet winter—conditioning my legs and my back and most importantly my seat — for the long days in the saddle coming up in June. Knowing you’re with me really helps! If you would like to help sponsor my ride, please visit my donation page at: www.tofighthiv.org/goto/sethlongacre2019 or see me in church for a form you can fill out and mail in. AIDS/LifeCycle is a 7 day, 545-mile bike ride from San Francisco to Los Angeles, hosted by the Los Angeles LGBT Center and San Francisco AIDS Foundation. Cyclists and other volunteers raise critically needed funds for HIV/AIDS-related medical care, testing, prevention and other services. Members of the Episcopal Dioceses of Los Angeles and San Diego, including the Rt. Rev. Katharine Jefferts Schori, assisting bishop of the Diocese of San Diego, the Rt. Rev. John Taylor, bishop of the Diocese of Los Angeles, and the Rt. Rev. 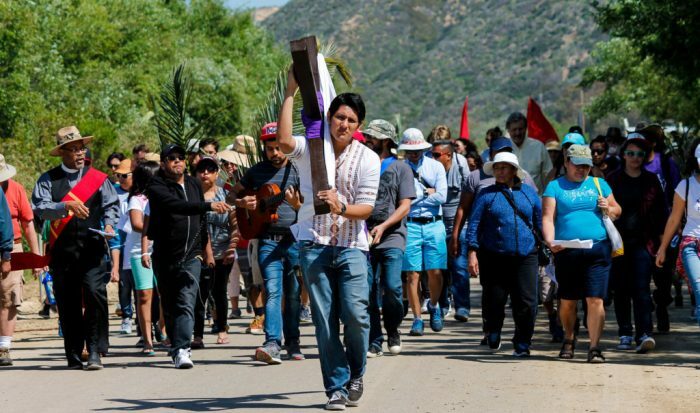 Diane Jardine Bruce, suffragan bishop of the Diocese of Los Angeles, will draw attention to the plight of immigrants as they travel the way of the cross, the Via Crucis, in a pilgrimage that begins at the diocesan center in Los Angeles and ends at the US-Mexico border. 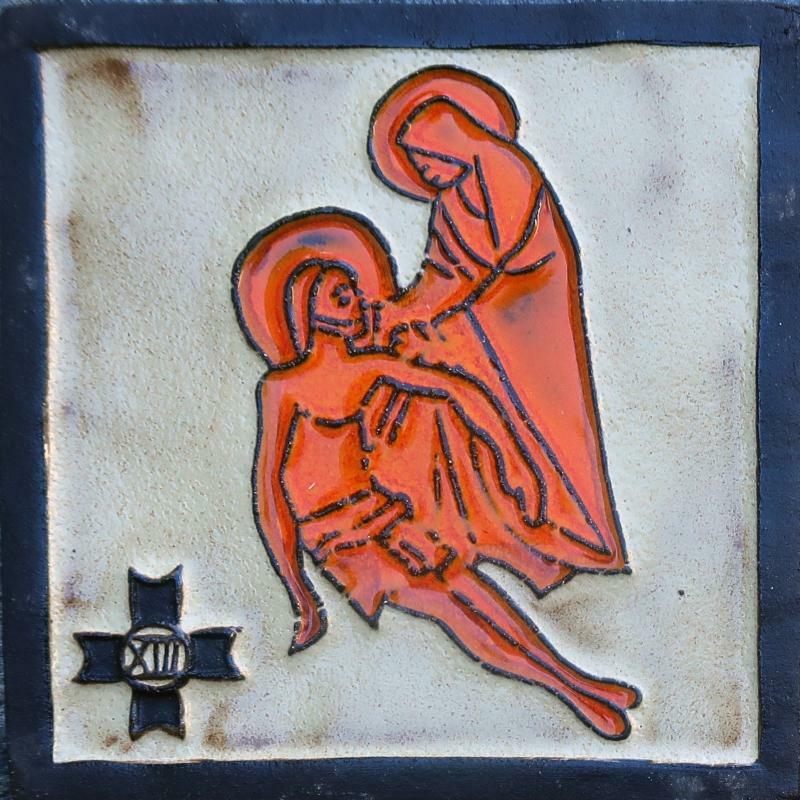 Pilgrims will read the Stations of the Cross at stops along the 139 mile journey. All are welcome to join in the pilgrimage. You do not have to participate in the entire journey, you may join at any stop. The caravan will stop at five predetermined spots to pray the stations of the cross, arriving at the border about 3 pm for the last station and celebration of the Eucharist. Travel will be by car caravan. It is a mile and a-half walk in the dirt and sand to the wall from the Friendship Park parking lot. Please be prepared for the hike. 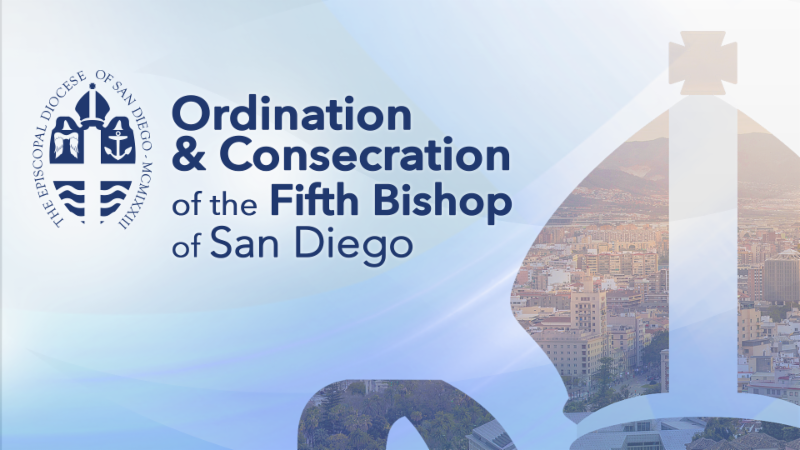 Stations 4 to 6 at St. Michael's, Anaheim & St. Philip's, Lemon Grove at 10:30 a.m.
Stations 7 to 9 at St. John's, Chula Vista at approximately 11:30 a.m.
Station 14 at the border wall at approximately 3 p.m. Participants in this year’s Called to the Wall event are encouraged to bring icons, both flat prints as well as three-dimensional statues. We will bless these with holy water and incense and then place them around us as we celebrate with our Anglican brothers and sisters on the Mexican side of the wall. 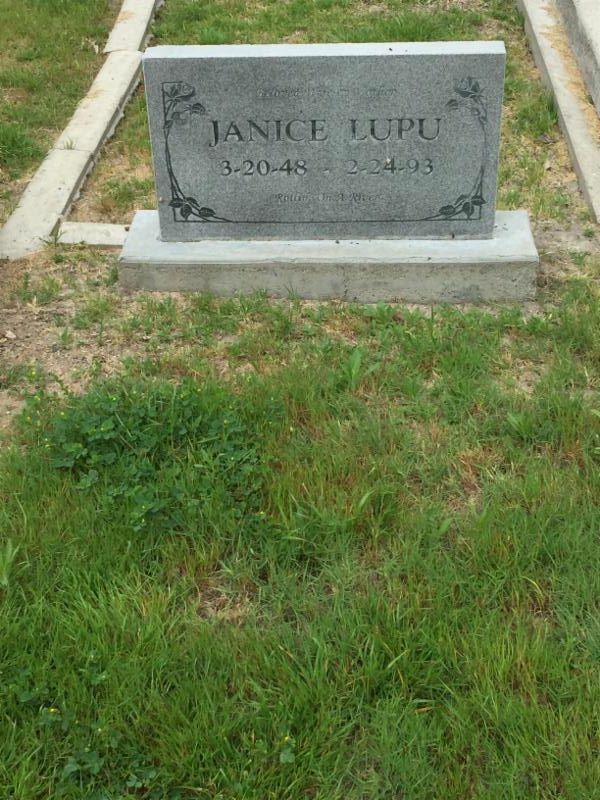 This is part of a pilgrimage tradition that many before us have started. Click here to see examples . Family Camp registration is open! We still have room for registrations in all of our 2019 Family Camps. Spend your Memorial Day welcoming summer with the grand opening of the Camp Stevens pool! Join us for Harvest Weekend as we enjoy the fruits (and vegetables!) of the year's labors in the garden! And make sure to reserve your family's spot in our Annual Thanksgiving Family Camp, which is a cherished family tradition for many Camp Stevens families, and always fills to capacity! We welcome your family to join the Camp Stevens family as we share the highlights of our year around the table, pool and campfire! Are you interested in taking the spirit of Camp Stevens family camps on a summer camping trip? Led by camp's own Laurie, Keith, & Luka Walsh, families will have the opportunity to connect with nature and each other in the San Bernadino forest near Big Bear. You'll get plenty of hiking in, exploration of Big Bear Lake and Lake Arrowhead, and songs around the campfire, all while communing at your tent site and eating delicious Camp Stevens food. For more information click here , To register, visit our registration website , and feel welcome to call the Camp Stevens office with any questions you have about the weekends and what to expect 760-765-0028. An elegant evening, set against the backdrop of beautiful San Diego skyline, featuring a silent and live auction, cocktails and modern Mexican cuisine, and a brief program. New this year , an after party on the Coasterra harbor float featuring a DJ, dancing, games, light bites and hosted beer and wine. Tickets for the after party only are $50. To learn more, please contact Deann Rios at drios@ecscalifornia.org or 619-228-2840. Don’t miss this special evening in support of ECS’ programs serving children and families, homeless adults, and adults in recovery. For tickets to the Gala and/or the after party click here . Looking for teens and adults of all ages to volunteer at the ECS Gala on Saturday, April 27, at Coasterra on Harbor Island. Multiple tasks and shifts available. Grab a friend and sign up to support the important work of ECS with great people in a beautiful setting against the backdrop of the San Diego skyline! 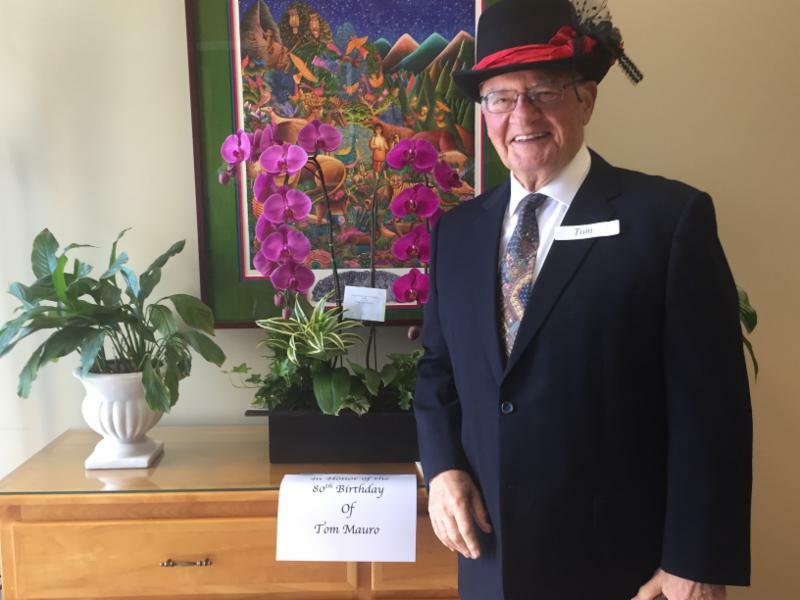 Adult volunteers get one free ticket to the gala after-party. Contact Deann Rios at drios@ecscalifornia.org or 619-228-2840 to learn more! Questions? Contact the Rev. Martha Anderson. 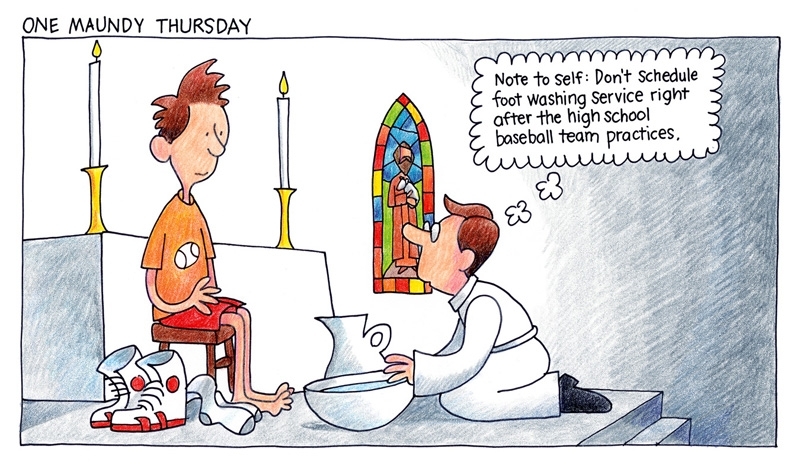 Cartoon from St. Swithin’s, by The Rev. Jay Sidebotham, copyright © 2002 The Church Pension Fund. Summer Camp at Camp Steven's in Julian - Youth ages 7 - 17. Holy Cross Episcopal Church | (760) 930-1270 | 2510 Gateway Rd.